Hi there. 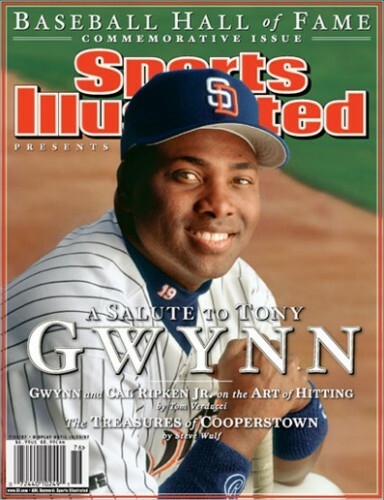 Today San Diegans and the world celebrate the life of Tony Gwynn, Mr. Padre. May you rest in peace Mr. Padre, thank you for your inspirations. Today Steve inadvertently put the tee-shirt on with TSJ 19 and #19 is Tony Gwynn’s number. 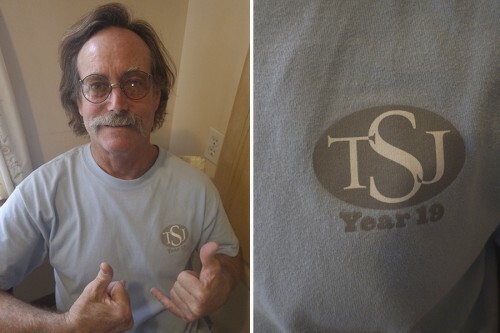 Around midday he realized that he was wearing his shirt with #19 on the front, that was a gift from TSJ for Cher’s work. Needless to say, we’ve had tears for this good man’s passing. Cowa-flexit! No Comments on "#19 Rests In Peace"